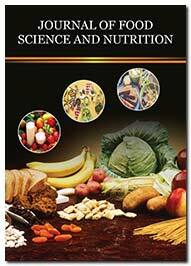 Journal of Food Science and Nutrition is a multifaceted, an open access, scholarly journal that aims to publish scientific manuscripts based on food science, its application in the development of new dietary supplements, standardization of dietary regimes as well as finding solution for the growing concern of malnutrition and its adverse health implications. The journal accepts manuscripts in the form of research articles, review articles, short communications, case reports, commentary, opinion articles, etc. The Journal of Food Science and Nutrition is an interdisciplinary journal that incorporates directly and indirectly related aspects of the food industry. The scope of the journal encompasses basic and applied aspects of food microbiology, food toxicology, food preservation, safe and time efficient food processing, food packaging, fermentation technology, and food chemistry. In addition, the journal aspires to publish any/all research developments that help in showcasing the possible causes of nutritional deficiency on an individualistic or population level. Original manuscripts that showcase the aspects relating to the role of genetic and environmental factors in determining the nutritional status of an individual and how the same can be used to alleviate pathological manifestations are highly solicited. All the articles submitted to the journal are subjected to a rigorous single blind peer-review process. Final acceptance and publication of the articles require positive review by at least two reviewers and final approval of the editor-in-chief of the journal.